Adam Warren signed a one-year deal with the Padres. There is a club option for a second season. He was signed to replace Jose Castillo who is getting ready to hit the 60-day IL with a flexor strain. 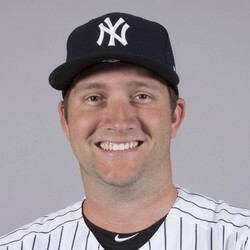 Warren split time in 2018 between the Yankees and Mariners. Through his nine-year career, he carries a 3.42 ERA, 1.221 WHIP through 463.2 innings and 298 games. He's an effective reliever and the Padres will certainly utilize his skill set with Castillo going down.